Caring for animals and their habitats is central to the Chicago Zoological Society's mission. A trained and dedicated staff provides the best care possible through a commitment to the health and well-being of the animals. By helping care for the animals at the zoo, you are also helping research and conservation efforts within the zoo and around the world. When you choose to adopt an animal, you'll be sharing the care. Your donation to the program helps to provide expert care for your favorite animal for one year. How can I "adopt" an animal? You can purchase an "Animal Adoption" package online. Review the list of available animals, select your favorite animal, choose your giving level, and order your animal adoption package today! Or, check out our special Featured Creature packages which are also available for online purchase. If you do not wish to purchase online, call (708) 688-8341. 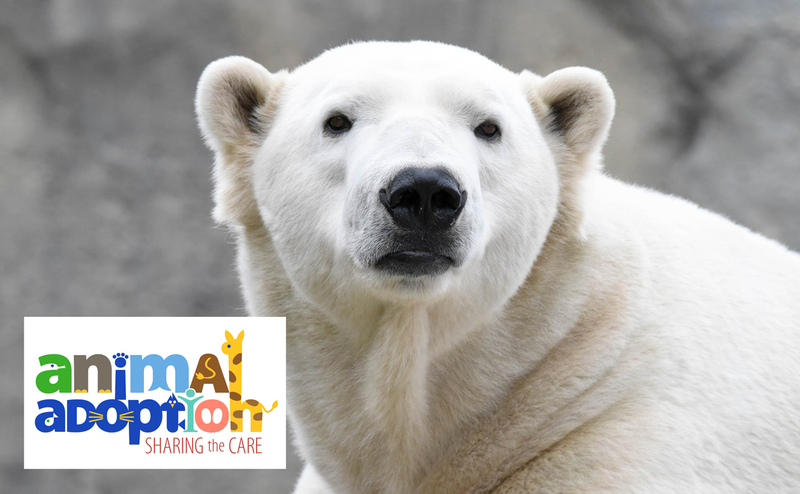 Your Animal Adoption program participation combined with your contributions to other zoo programs may qualify you for status in the Society's Elite Status program, which allows our members and supporters insider access to some of the exciting behind-the-scenes activities at Brookfield Zoo. For more information, click the link above or call (708) 688-8560. For 2017 purchases: Under IRS guidelines, we are required to disclose an estimate of goods or services received in return for contributions over $75. The estimated fair market value of goods and services received with the Shared Care Plus package is $13, Rare Care package is $20, and Premium Care package is $288. For 2018 purchases: Under IRS guidelines, we are required to disclose an estimate of goods or services received in return for contributions over $75. The estimated fair market value of goods and services received with the Shared Care Plus package is $16, Rare Care package is $24, Premium Care package is $307, Caregiver package is $16, Partner package is $24, Advocate and Guardian packages is $33, and Champion package is $51. Call us at (708) 688-8341 with questions, visit the Frequently Asked Questions page, or e-mail your question to sharethecare@czs.org.